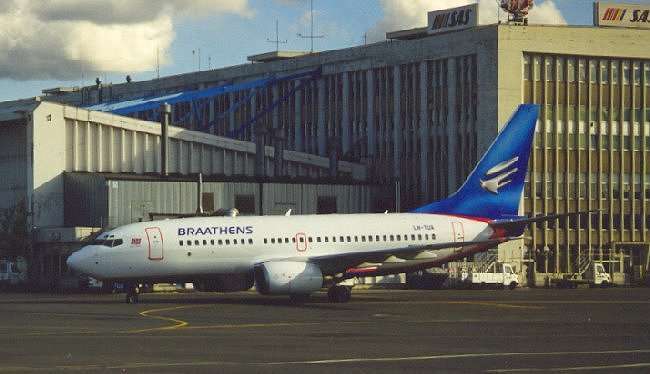 Braathens was Fornebu's second biggest operator. 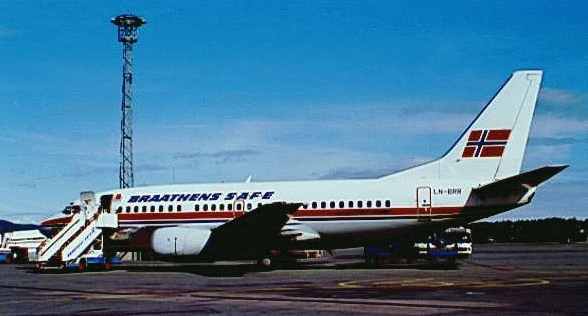 Their fleet consisted of B737-405, -505's, and -705. 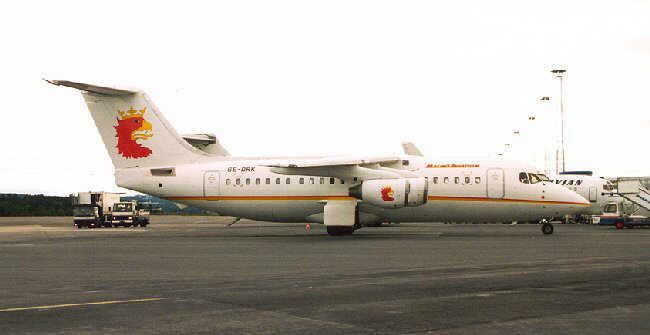 In addition they owned Braathens Sverige (B737/F-100) and Malmø Aviation (BAe146). 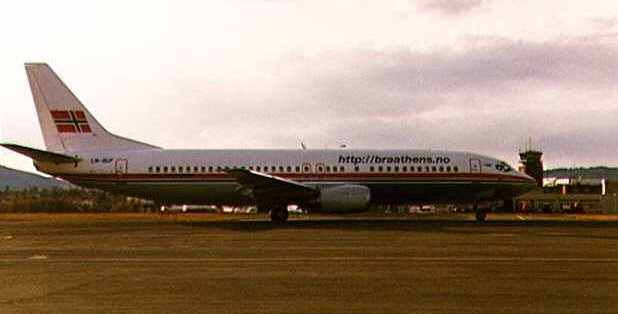 It didn't take many days from the takeover until the first Malmø Aviation 146 appeared on a BU flightnumber. This is SE-DRK. Braathens Sverige F100's were often used on the Oslo-Stockholm route. This is SE-DUD. 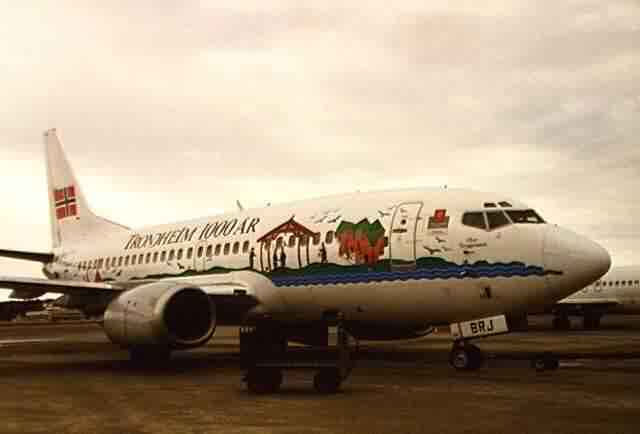 B737-705 LN-TUA was delivered in April 1998. 'Vi flyr Drillos' (We fly Drillos) is the latest logojet stunt from Braathens. 'Drillos' is the nickname of the Norwegian national football squad, and Braathens is sponsoring Norges Fotballforbund (Norwegian Football Assosciation). B737-405 LN-BRI is the poor victim. 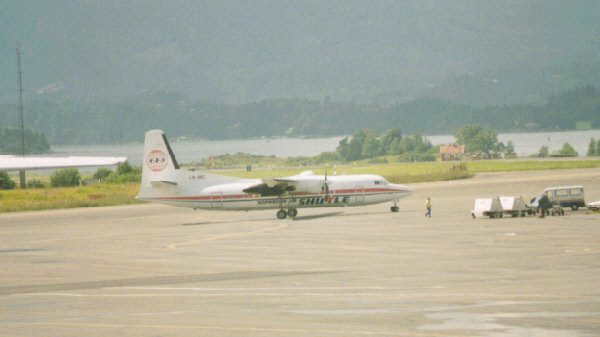 The aircraft was repainted on 21/8-98. B737-405 LN-BUF is their latest addition. Note the 'http://braathens.no' replacing the regular logo. 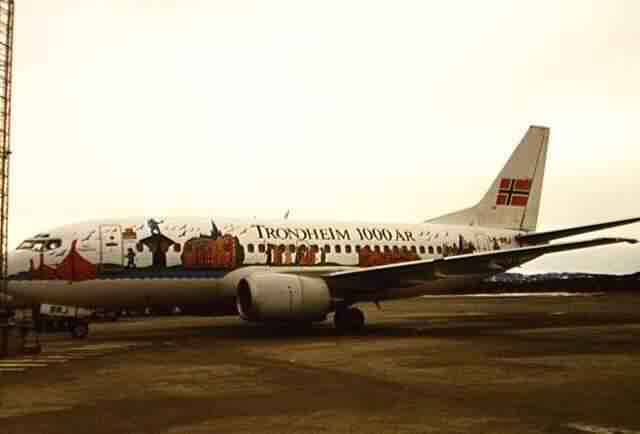 B737-505 LN-BRJ was painted in a special livery to celebrate the city of Trondheim's 1000th anniversary. Braathens is now part of the SAS Group.